How can I reset the password on my H.264 CCTV DVR? This is a common question that the technical support team receives at CCTV Camera Pros. Although it seems like a simple question, the answer is not so simple. 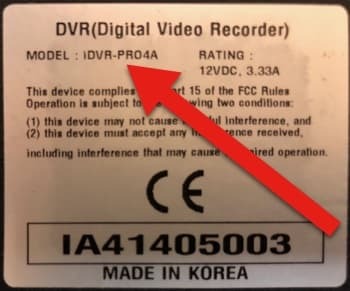 The reason is because the majority of the security camera DVRs manufactured between 2007 and 2018 use H.264 video codec and label their DVR cases with the term “H.264 DVR”. H.264 is not a brand or a model, although it appears to be on many DVR cases. It is a video compression standard that virtually every surveillance manufacturer uses. Even Apple uses it in their iPhones. There are hundreds of CCTV DVRs out there that are labeled H.264 DVR. Each of them has their own default master password and their own process on how-to reset it. I wrote this article to help people track down the instructions on how-to reset the password on their DVR. Here are some steps that you can take. Inspect your DVR’s case for a product sticker. DVR manufacturers typically place a silver product sticker on the back of their DVR cases. Some will have a DVR model on them. For example, the above product label is placed on the back of our iDVR-PRO CCTV DVRs. You can see that the iDVR-PRO4A model is clearly displayed on it. Using this example, I would recommend searching Google for something like “iDVR-PRO4A password reset”. If no results are useful, then simply search for “iDVR-PRO4A” to try to locate the manufacturer or someone that supplies it. You can then call or email to see if they have instructions. This is less likely to exist than a product sticker, but some security system suppliers put their brand on the DVR case. We do this. For example, this is the front of our iDVR-PRO16H 16ch CCTV DVR. You can see that our iDVR-PRO brand is clearly displayed. Using this example, I would recommend searching on Google for “iDVR-PRO password reset instructions” or just “iDVR-PRO”. If you originally purchased the DVR online, search through your email account to see if you can locate the original order confirmation email or any other email correspondence related to your DVR. If have an email, see if that company is still in business and reachable. In an ideal world, security system suppliers would make it easy to identify the products that they supply and easy to find support online, however, most of our competitors do not do this (lucky for us). Here are the password reset instructions for our iDVR-PRO H.264 CCTV DVRs and this is how we provide online support and how-to guides for our DVRs. We also have a library of videos here. 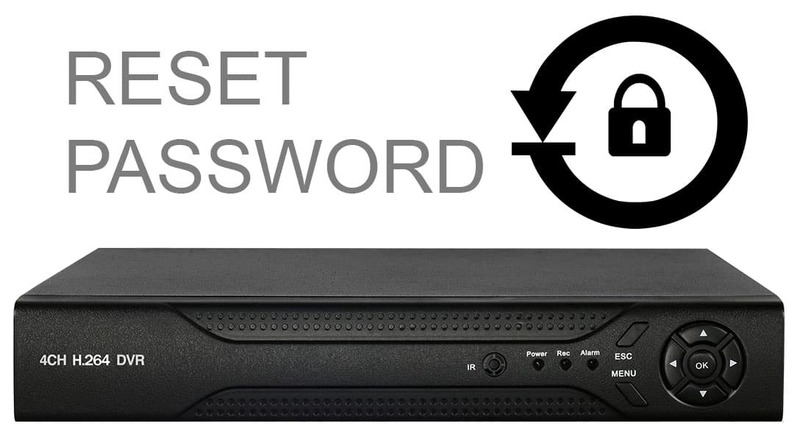 If you are still stuck and completely hopeless finding a way to reset your DVR password, you may have to consider replacing it. It might make sense anyway if it is more than 5-7 years old. If you contact me via email, I will give you a coupon for a 15% discount on a new DVR. The latest hybrid analog CCTV / HD over coax DVRs support traditional analog CCTV cameras and the latest HD over coax security cameras. This will allow you to use your existing analog cameras and upgrade to HD when you are ready. 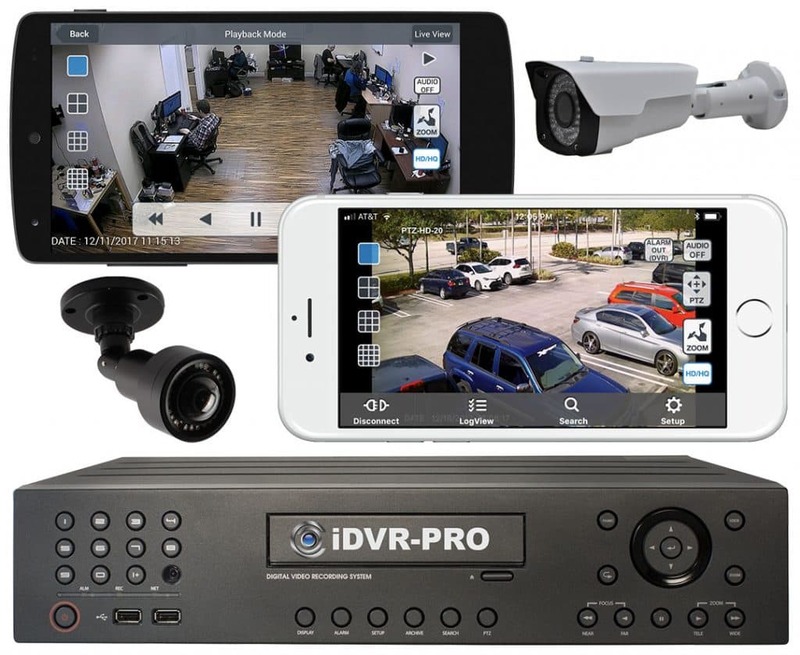 With the latest DVRs, you get access to the latest and best remote camera viewing apps for iPhone, Android, Mac, and Windows. Below are a few video demos. 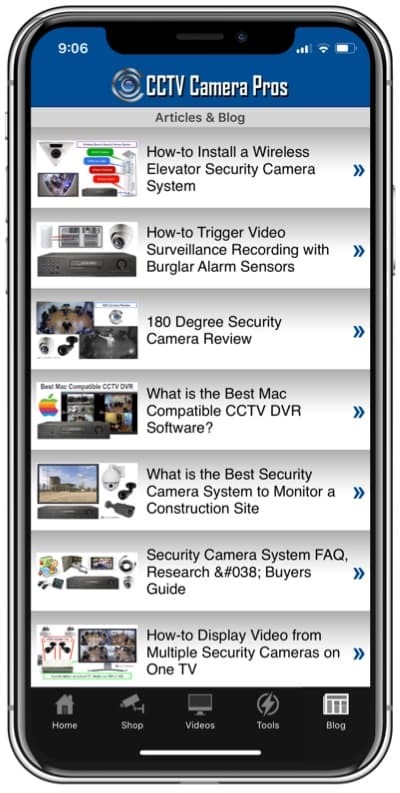 Watch this video to see the a remote view of HD CCTV cameras from iPhone. These cameras are connected to an iDVR-PRO DVR. Watch this video to see the a remote view of 1080p security cameras from Android. These HD cameras are connected to an iDVR-PRO DVR. In addition to the outstanding mobile apps, iDVR-PRO also includes remote viewing software for Mac and remote viewing software for Windows. Does My CCTV Camera DVR Support Remote Viewing from Mobile?